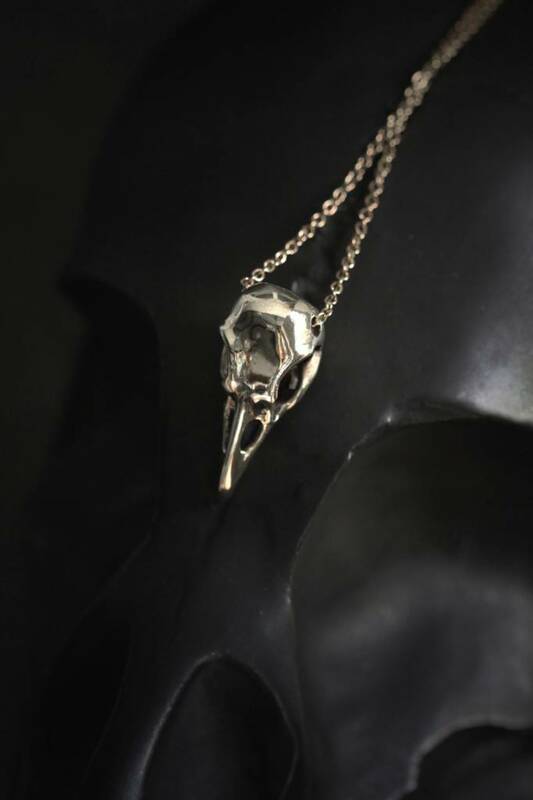 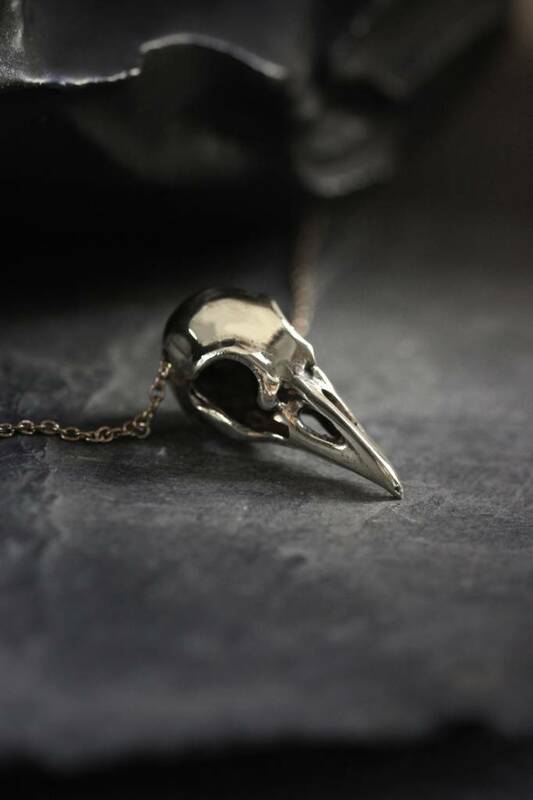 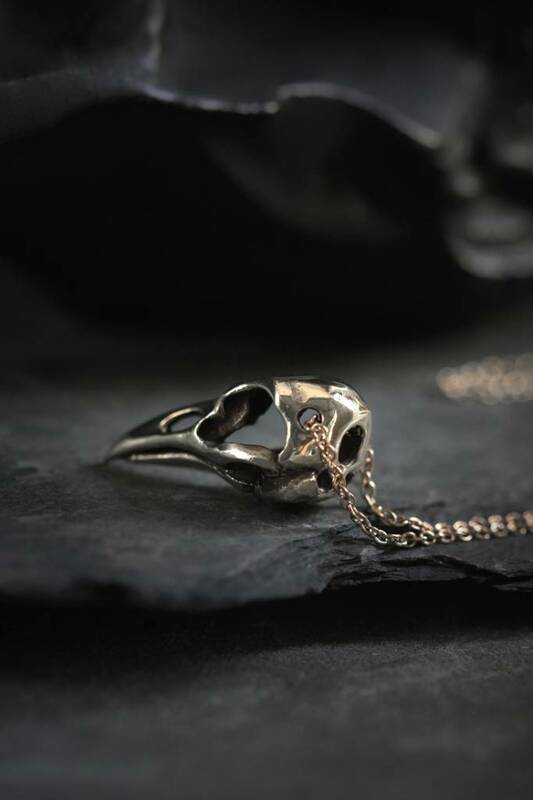 A stunning raven skull in a silver and brass mix. 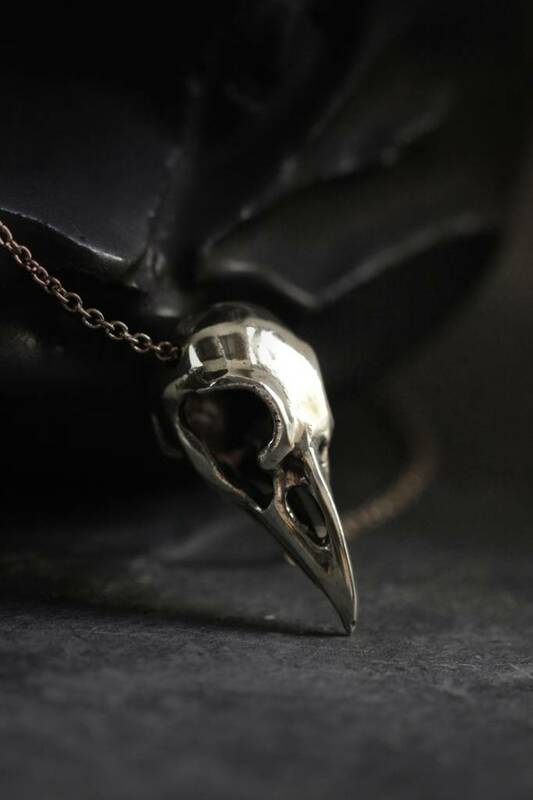 The mysterious raven is all-seeing and noble. 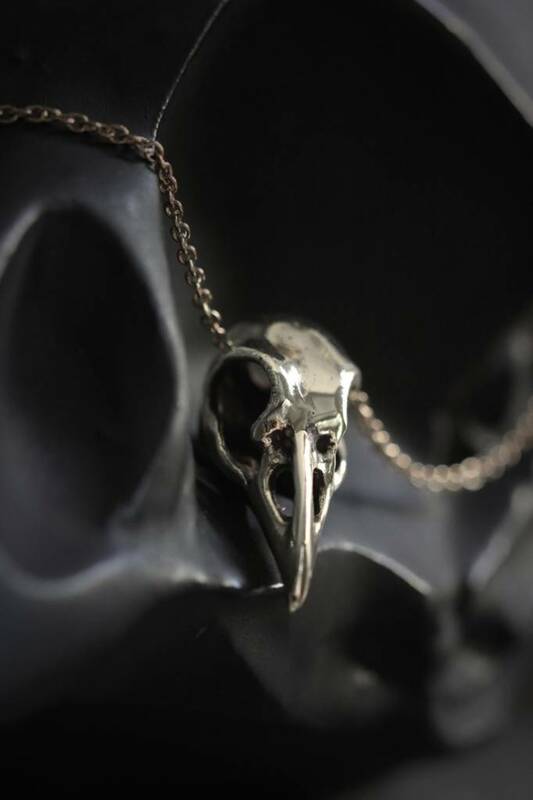 This stunning raven skull is a silver and brass mix, and hung on a 30" chain. 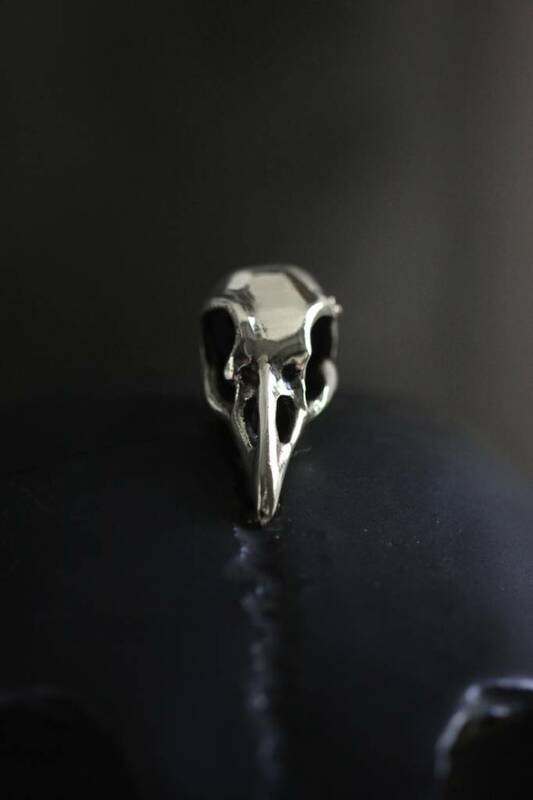 From Migration's in-house line and made in small batches, each one is unique and nickel free. 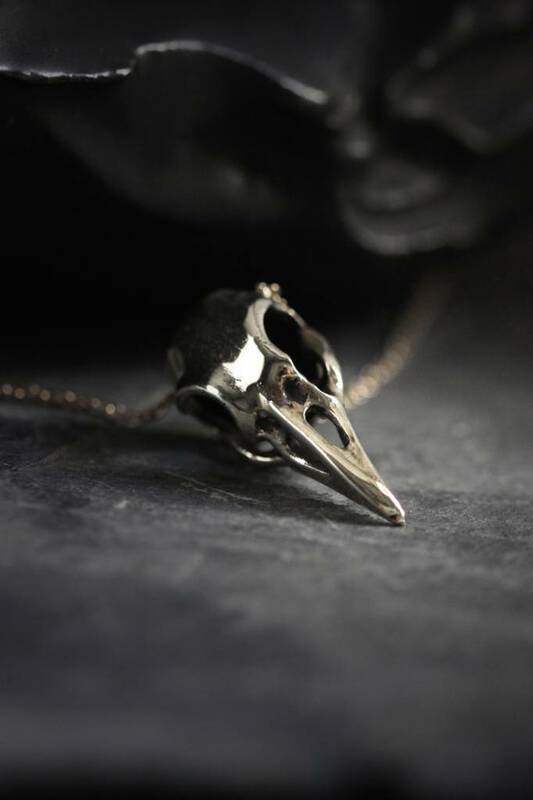 The raven skull is also available in a brass bracelet, brass stud earring and mini brass necklace.